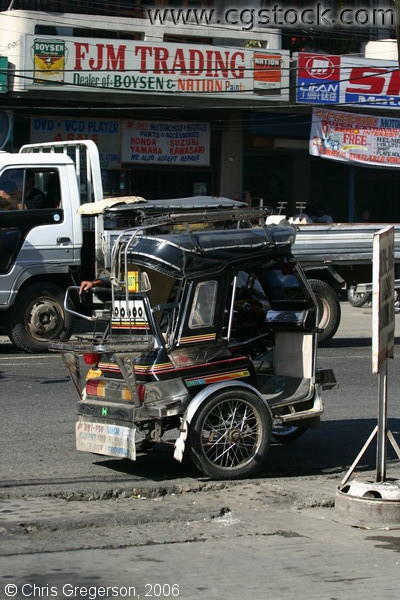 This black-hooded tricycle is used for public transport here in the Philippines. Some tricycles are color-coded for their designated routes but this one is not. In the background is a picture of the front of a hardware store (FJM Trading, a Dealer of Boysen and Nation Paints).